Discover the world of LG with the LG Optimus Me P350, a high end mobile, with superior features and function that facilitates communication and multitasking. With LG, you always get the best. Enjoy the viewing experience on the large and bright 7.1 cm QVGA TFT screen having a 240x320 resolution. 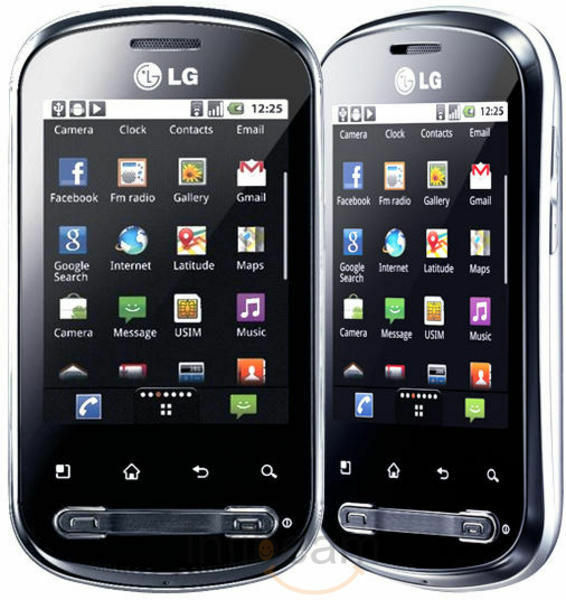 LG phones have always been a true expression of innovative technology. 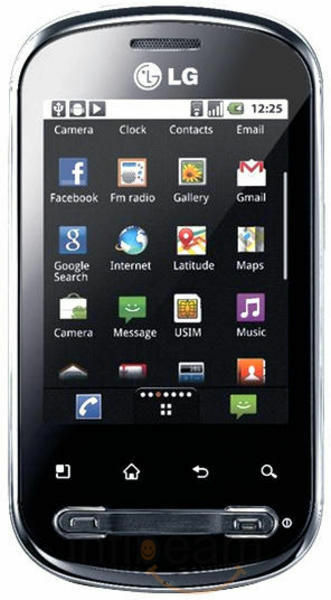 This phone is built on the powerful Android 2.2 (Froyo) operating system, which enhances the user experience. Complete connectivity solutions! The Me P350 lets you connect to cyberspace as and when you like. It is enabled with the wireless Wi-Fi and 3G technology. The other connectivity options available are Bluetooth, USB connector and PC link feature. 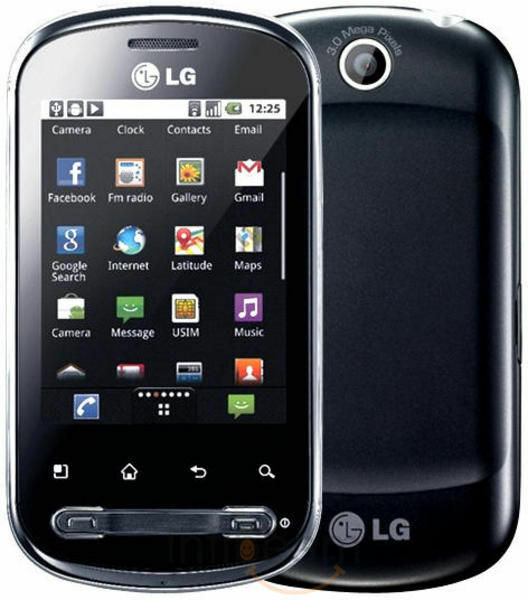 You can access various applications such App Adviser, YouTube, App Manager, Layar, LG Mobile TV, LG World, Shazam, Compass, PicSay Pro, MSN talk, Movie Finder, SilentMode, Document viewer and NDTV on this LG phone. You can also log in to social networking sites such as Twitter and Facebook. The camera of this LG phone is on par with the latest technology in cameras. It captures every shot you take with it. The secret behind it lies in the 3 MP camera with 2x digital zoom, which gives you enriched image quality. The phone offers various entertainment options such as FM radio, FM radio on speakerphone, voice recording and MP3 player. Store on it as much as you can! 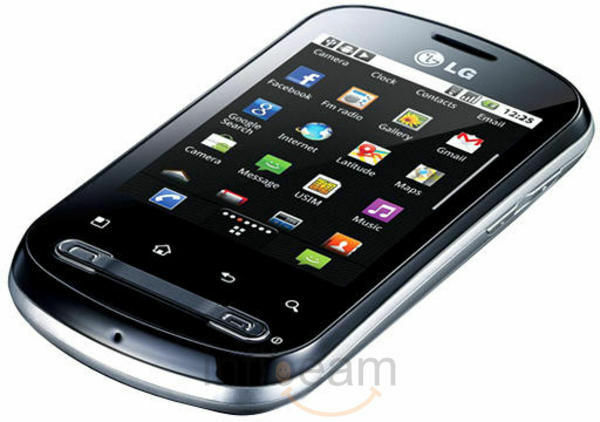 This LG mobile has memory capacity of 155 MB, which is expandable up to 32 GB on microSD card. 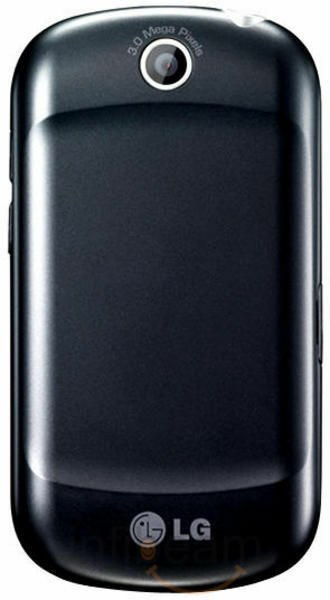 The phone runs on a 1280 mAh Li-ion battery. Deliveries on Sunday and National Holidays. the best phone ever ! Before this I had a samsung galaxy mini and HTC desire. They were OK, but this baby is THE BEST !! I have it for 7 months now and am very happy with it. You can also modify it with some custom rom and even overclock it and it will be up there with the latest Androids. The battery life is normal for a smartphone. LG are really starting to make some solid Androids and for this price this is a steal.